AFTER MARUVAARTHAI PESADHEY, SID SRIRAM'S NEXT VALENTINE'S DAY TREAT! AH Kaashif and Bhavani Sre are collaborating to present a musical single for this Valentine’s Day. Both of them are the nephew and niece of musical legend A.R. Rahman. 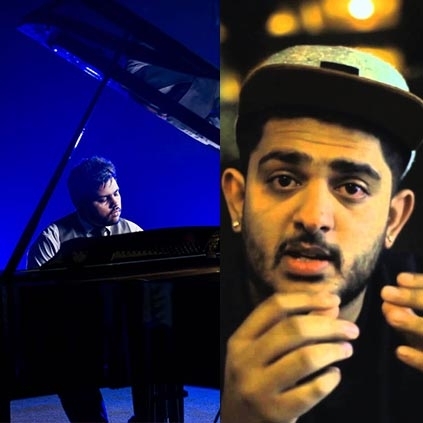 AH Kaashif has composed this song which goes by the name 'Po Po Yen', and Bhavani Sre has been featured in the video.This number is sung by the current music sensation Sid Sriram. Ashwin Ravindran, who assisted Atlee in Raja Rani, and is currently assisting Soundarya Rajinikanth in VIP2, has been at the helm for this music video. This song is said to be a sad love failure number. Kaashif says that the majority of youngsters suffer today because of love and break-up, and this number is expected to connect well with them. He adds that the song will talk about three phases of break-up. AH Kaashif is also planning to make his Kollywood debut as a music director soon. People looking for online information on AH Kaashif, Sid Sriram will find this news story useful.